The Abecedarian: Do schools need more performance evaluation? 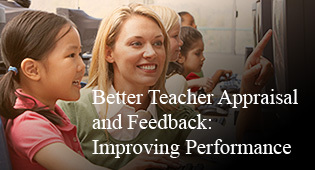 Do schools need more performance evaluation? You may have noticed an editorial in The Australian this week by Ben Jensen from the Grattan Institute advocating better performance evaluation for teachers. The editorial is a summary of the institute’s recent report “Better Teacher Appraisal and Feedback: Improving Performance” which is supposed to be an evidence-based approach to teacher appraisal. Some bits of the report are good. Some I have problems with. Basically, I think the Grattan Institute are advocating some good ideas but I hope no one pays too much attention to them because those ideas are almost certain to get perverted into things they never meant. I’ve got three criticisms and two attaboys for Ben Jensen. Read on to see what they are. Australia ranks 14th out of 36 in Grade Four and 14th out of 48 in the most recent Trends in International Mathematics and Science Study. We ranked first out of 182 in the education component of the United Nations Human Development Index (Help! Finland have pulled even with us). In the 2009 Program for International Student Assessment , we ranked 15th in Maths, 10th in Sciences and 9th in reading out of 65 countries. There is no great crisis in Australian education. ‘Nuff said. Don’t get me wrong; we can do better. There are kids leaving my classes not knowing stuff I’d like them to know. But you don’t have to bash the whole country. OK I’m moving on now. Second, Jensen says he is looking at the evidence but not to the extent of actually admitting some things don't work. In his editorial he suggests that schools choose for themselves “four of eight methods to assess teachers and provide feedback”. But if you read his report it is clear that two of the eight are no good: parent surveys and self assessment. If they don't work, I say don't do them. The report fails to clearly advise against any method of teacher appraisal. My reading of the report is that the most useful forms of appraisal are student feedback and peer observation or team teaching. The report authors also like 360° feedback which includes these more or less by definition. Jensen should say so in his editorial. I could continue, but I already feel oppressed. I tend to sympathise with Robert Sutton’s view that performance appraisals are a terrible waste of time anyway. That all said, I quite like a lot of the report. It seems eminently obvious to me that teachers need to spend more time watching other people teach. Observation and a good chat about it afterwards (let's avoid the phrase 'professional dialogue') is the absolute best way to improve your teaching. Teachers should also pay more attention to student feedback on their teaching. The kids do know if they are learning anything. I totally support the notion of teacher self-appraisal and using the others in their immediate teaching cohort to help them. I would like to find out how to reach a particularly recalcitrant class and reading this has given me the impetus to get up and go speak with the other teachers of this particular group. I want to look inside and see what works for them - whatever it is, "it" is currently not happening in period 4 on a Thursday!!! Criticial and reflective thought MUST be a requirement of the job that demands precisely these qualities from the teens in our classes - if they are meant to be able to do this surely we should put ourselves out there too?